HOME / Advertising page "The Salon Magazine"
ADVERTISING PAGE "THE SALON MAGAZINE"
Advertising page in "The Salon Magazine" of September 2016. 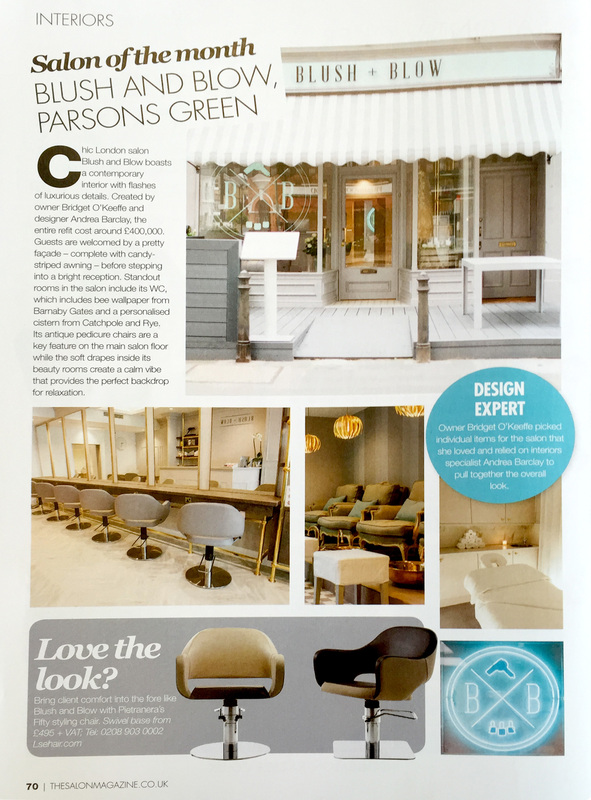 The salon of the month is the chic Blush and Blow in London, with its contempory interior and luxurious details. LOVE THE LOOK? see more about our FIFTY styling chair and find out how comfortable it is. Thanks to LSE HAIR & BEAUTY for this advertisement.